G.P. Putnam's Sons, 9780452283282, 336pp. 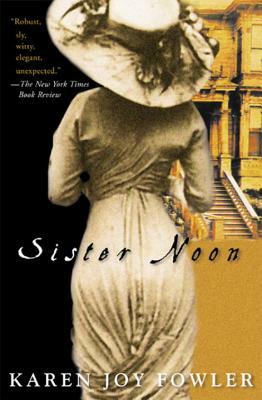 Loosely based in historical fact, Sister Noon is a wryly funny, playfully mysterious, and totally subversive novel from the New York Times bestselling author of The Jane Austen Book Club. When the wealthy and well-connected, but ill-reputed Mary Ellen Pleasant shows up at the Brown Ark, Lizzie is drawn to her. It is the beautiful, but mysterious Mary Ellen, an outcast among the women of the elite because of her notorious past and her involvement in voodoo, who will eventually hold the key to unlocking Lizzie's rebellious nature.